The faculty at Primrose Hill School are passionate, skilled educators trained to understand the physical, emotional, and spiritual life of children. Within this threefold vision inspired by the Waldorf pedagogy, teachers are able to respond fully to the students' individual needs at every stage of development. The faculty have an abiding commitment to nurturing the whole child, teaching reverence for all living things, and helping our students to become successful, socially responsible, and compassionate leaders of tomorrow. Pema was born in Woodstock, NY, and received her BA in International Relations and Political Science from SUNY New Paltz. She has her Waldorf Teacher Training Certificate from the Alkion Center, a certificate in Permaculture Design, and certificate in Herbal Healing. Pema has taught at Mountain Laurel Waldorf School in New Paltz and Mountaintop School in Woodstock, and worked with children in South America and India. Pema enjoys gardening and baking with young children and lives with her daughter in Rosendale, NY. Kenny has worked as kindergarten assistant at Open Meadow school in Ghent, NY and in addition to Primrose Hill School, he currently works for the Mental Health Association of Columbia and Green Counties as a youth mentor and directing skateboarding programs for the children of Hudson, NY. He is the co-author of the book “Some time to Smile”, based on his experience working with children in Afghanistan. Kenny co-founded the not for profit, SkateQilya in 2015, an organization which uses skateboarding and art to teach leadership and community building to girls and boys in Palestine based on his 16 years spent as a professional skateboarder. Sigrid was born and raised in the Austrian Alps near Salzburg. She received her Waldorf Early Childhood Education Certification from Sunbridge College, NY and taught for many years at the Waldorf School of Saratoga Springs where she co-founded a Forest kindergarten. Sigrid is certified in Biodynamic Craniosacral Therapy and Yoga Instruction. She love to go for walks, spend time by the sea, travel, cook, read and play her harmonium. Simi graduated from Columbia University with a B.A. in Russian Language and Literature. She studied language pedagogy at the Pushkin Institute in the Soviet Union and has taught English to Russian children and adults in Moscow, Russia. She has three children who studied at the L’Ecole Rudolf Steiner de Genève, in Geneva, Switzerland where she was an active parent and supporter. She is currently studying at The Sophia Institute working towards her Waldorf Teaching Certificate. Simi is a Certified Pilates Instructor and has taught Pilates to adults and children in the US and Switzerland. She speaks Russian, French, and a bit of Swahili. Caitlynn graduated with a BFA from Sage College of Albany. She has been working for several years in Early Childhood education including operating a Waldorf inspired home daycare. Caitlynn is interested in ecovillages, permaculture and loves hiking and traveling. She lives in Kingston, NY with her two children and is grateful to be living and working in the bountiful Hudson Valley. 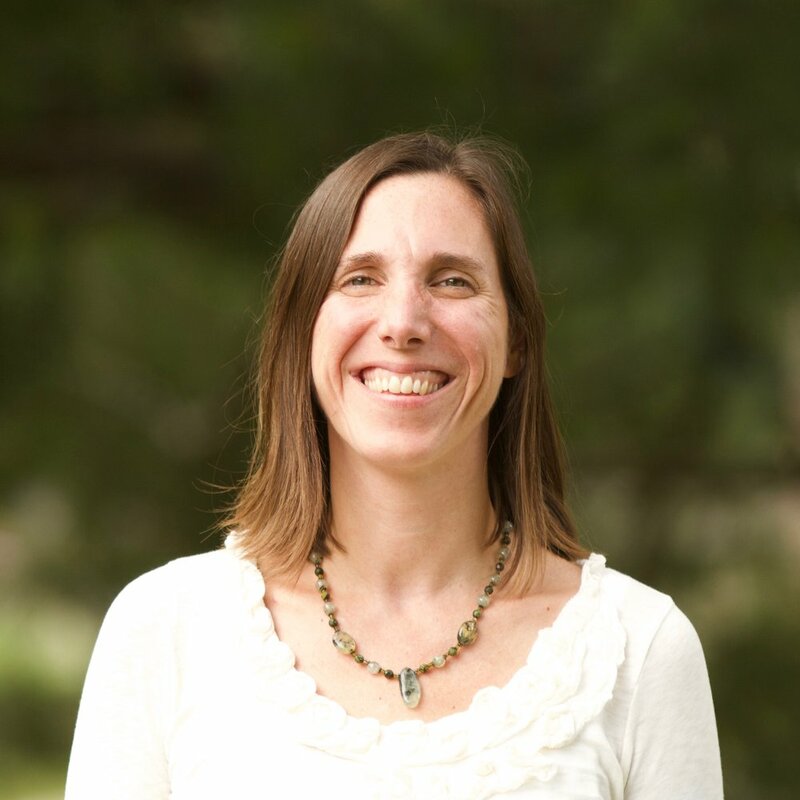 A Waldorf school graduate, Eiren has a BA in Liberal Arts from West Chester University in Pennsylvania and received her Waldorf teacher training at Emerson College in England in 2001. As well as teaching in Waldorf schools over the past decade and a half, she ran an organic café in a Camphill Village and worked on several biodynamic farms. She enjoys writing, painting, gardening, and creating with food. Kirstin received her BS in Environmental Science from Ramapo College of NJ. She has a Waldorf teacher training certificate from Sunbridge College in Chestnut Ridge, NY. Kirstin has taught at Mountain Laurel Waldorf School and Green Meadow Waldorf School. She spent nine years working at The Fellowship, an intergenerational community centered around the care of elders. She is certified in Biodynamic farming, has experience with permaculture, and has been a farm/nature educator for the past 20 years. She loves to explore the natural areas in Dutchess and Columbia counties, travel with her son, and visit friends and family. Christine Good received her Associate Degree in Liberal Arts from SUNY Morrisville and her BSEd in Health Education K-12 from from SUNY Cortland. She has a Waldorf teacher training certificate from Sunbridge College in Chestnut Ridge, NY, as well as a Master's in Waldorf Education. She spent four years as class teacher at the Waldorf School of Baltimore and served two years as a delegate to the Association of Waldorf Schools North America (AWSNA). Christine has a strong dedication to life-long learning and a deep love of children. She is excited about enriching the festival life at Primrose Hill School. Arn Krugman received a BA in government from Franklin & Marshall College and an MA in elementary education from the University of Hartford. He did his Waldorf training at Emerson College in England. He has taught in public and private schools, and he's done most of his Waldorf teaching in California and Massachusetts. Arn is passionate about natural history and is particularly interested in birds, turtles, frogs, bobcats, trees, and wildflowers. He also loves music, skating, surfing, skiing, snorkeling, biking, mountains, kayaking and the world of color. Sara was educated from Kindergarten through 12th grade at Hawthorne Valley Waldorf School in Ghent, NY. She studied political science at SUNY Albany and conflict resolution at Haifa University. She was the program assistant at Music in Common, educating communities through music, and has taught at the Jerusalem School in Israel, working to incorporate Waldorf principles into the curriculum. Sara received her Waldorf teacher training certificate from the Alkion Center. Sara enjoys gardening, cooking, farming, dancing, and exploring. Takken has 13 years teaching experience, including work in Turkey, Sri Lanka, Vietnam, and Poland. He has a Waldorf Teaching Certificate from Antioch University, as well as a BA in English from the University of Kentucky, and an MFA in Creative Writing from Oregon State. Though much of his experience has been teaching children, he's also taught at Orange County Community College and at the Orange County Jail. He loves writing, reading, traveling, and spending time with his wife and four daughters. Richard Ferrono has owned and operated a gymnastics school for over 20 years. His areas of study have included Circus Arts (many disciplines), Parkour, and several martial arts. He is currently attending the Spacial Dynamics institute in New York. His passions include physical arts, playing music, and spending time with his family and friends. Ling attended the Academy for Performing Arts in Hong Kong, where she majored in cello performance and was active as both a chamber musician and orchestral player. After earning a BA from Bard, she went on to study at Ithaca College, where she completed her master’s degree in performance. Ling has been teaching cello privately and in schools for over 20 years. Rob has been teaching in the Hudson Valley for 15 years. He has a BS from SUNY Fredonia, where he majored in audio engineering and music. He is currently the assistant concertmaster of the Woodstock Chamber Orchestra and performs with the Hudson Valley Philharmonic, the Hudson Opera Theater Orchestra, and the chamber group Hudson Pro Musica. Rob lives in Lagrangeville with his wife and daughter. Juliet Kingsley studied humanities at Simon’s Rock College and child psychology at Marymount Manhattan College. She is the founder and was the director of Woodstock Children’s Farm providing farm and garden education to school aged children. Juliet grew up on a sheep and textile farm in the pastoral Berkshires and is both a farmer and homesteader. She lives in a rural part of Kingston where she shares her home with her husband, four daughters, dogs and cats and raises dairy goats along with many other feathered friends. A native of France, Laetitia earned her Master's in Film from University Paris VIII and her Waldorf Teacher Training from the Institut de Formation à la Pédagogie Steiner-Waldorf Didascali (Avignon, France). She then moved to NY state with her family and earned her Artistic and Pedagogical Eurythmy Degree at Eurythmy Spring Valley. Since then, she has taught in various places (including the Fellowship Community in Spring Valley, NY, where she also volunteered and worked) and schools (Housatonic Valley Waldorf School in Newtown, CT and the Brooklyn Waldorf School in NYC). She is very excited to bring Eurythmy to children and adults, and considers a class to be successful when both she and the students have had the occasion to laugh. She lives in Chestnut Ridge, NY, with her husband and two children, who attend Green Meadow Waldorf School. Aside from teaching, she is an opera addict and enjoys playing games with her children, hiking, swimming, and gardening. Charlotte is a Columbia County based artist, working in fiber arts, dance, martial arts and gardening. She has a BFA in dance from SUNY Purchase. As well as teaching handwork at the Primrose Hill School, she teaches movement and martial arts to children and adults around the Hudson Valley. Jennifer received her BA in English and Psychology from Villanova University and her MAT from the University of Southern California. Since 2010 she has served as a teacher, school administrator and educational consultant in charter and private schools throughout the five boroughs in NYC. She has worked in and with schools transitioning from lower grade to upper grade education, specifically building supportive structures for middle school aged students. Jennifer brings a background in school fundraising and development. She loves being part of a school community, and seeing teachers thrive alongside their students. Danielle Sinclair has been connected with Waldorf education since 2000 as an educator, mother of three girls, and small-scale biodynamic-inspired homesteader. 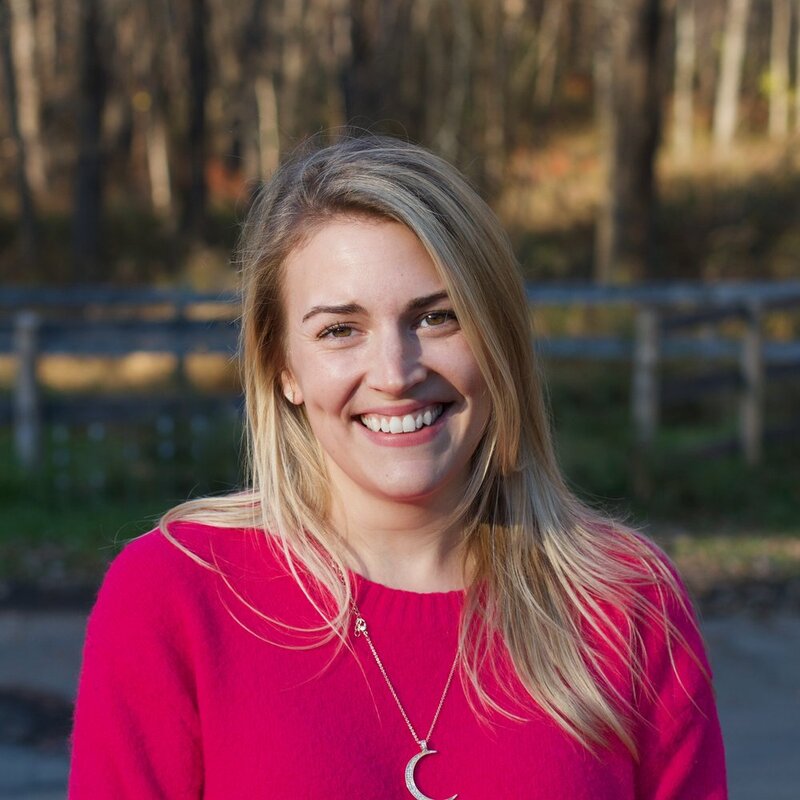 For the past several years, she has been involved with teaching Nutritional Therapy based on nutrient-dense whole foods, and helping out seasonally on a farm. She is dedicated to bringing children and other people into greater connection with community and the rhythm of the seasons and the Earth, and finds Waldorf education and its many permutations to be an ideal framework from which to work. Yasmin graduated with a B.S. in Film and Television from Boston University College of Communication. She has served in an administrative role at Simon’s College, MA and more recently as the Business Services Administrator for Tufts technological services at Tufts University, MA. Yasmin loves music, photography, writing and editing and lives in Rhinebeck, NY with her husband and young daughter. When her daughter was born, Diana Page Cohen began to envision a Waldorf school in Dutchess County. She began with a home playgroup and then joined forces with founding teachers Christianna and Kieran Riley and her entrepreneur husband Jonathan Cohen to form and build our school, which opened its doors in 2012. We are deeply grateful for the ways in which these four individuals combined their gifts and insights to build the unique and inspired school we are so proud to be part of today.